Visiting a dentist can be difficult for some people. They may feel nervous and anxious, had a bad experience, have a phobia of dental treatment or just dislike having check-ups and dental treatment. At Alexandra Dental, we understand that not everyone feels comfortable attending their appointments and our team will do all they can to make you feel as relaxed as possible. We believe it is important for patients to feel safe and cared for at all times, but particularly when they may have a fear or dislike of dentists. 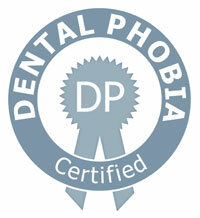 Our dentists are trained to deal with people’s dental phobias and have undertaken additional qualifications to ensure they can meet all patients’ needs. Laser treatments prevent the use of a drill and can help with soft tissue treatments. Aquacut polishing allows us to treat small cavities without Local Anaesthetic and drills whilst still being able to place an effective filling. If you are a nervous patient, please contact us by clicking here or call on 01442 256335 to discuss how we can support you.